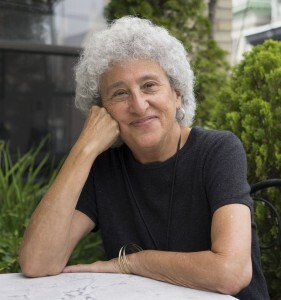 Prevention Institute congratulates our friend, colleague, and esteemed Executive Advisory Board member, Marion Nestle, on winning the James Beard prize for Writing and Literature for her 2015 book, Soda Politics: Taking on Big Soda (and Winning). Marion has long been a leading advocate for a healthier food system, calling attention to harmful food industry practices and serving as a strong voice for a more just and sustainable food system. Her groundbreaking 2003 book, Food Politics: How the Food Industry Influences Nutrition and Health, goes behind the scenes to show exactly how Big Food--like Big Tobacco and other powerful industries--profits at the expense of consumers’ health, from co-opting scientific experts to lobbying officials and undermining government regulations to using manipulative marketing techniques to unload junk foods on children, communities of color, and consumers in the developing world. Her subsequent books build on these themes and cover issues of food safety, environmental sustainability, the ways science and socioeconomics influence food choice, the regulatory landscape, and the role of grassroots organizing in changing and challenging the policies and systems that stand in the way of health. And we rely on her book Feed Your Pet Right to keep our dog-friendly organization thriving. Marion, we are immensely proud of you and all of your contributions to the fields of public health and nutrition. We can’t wait to see what you’ll do next.